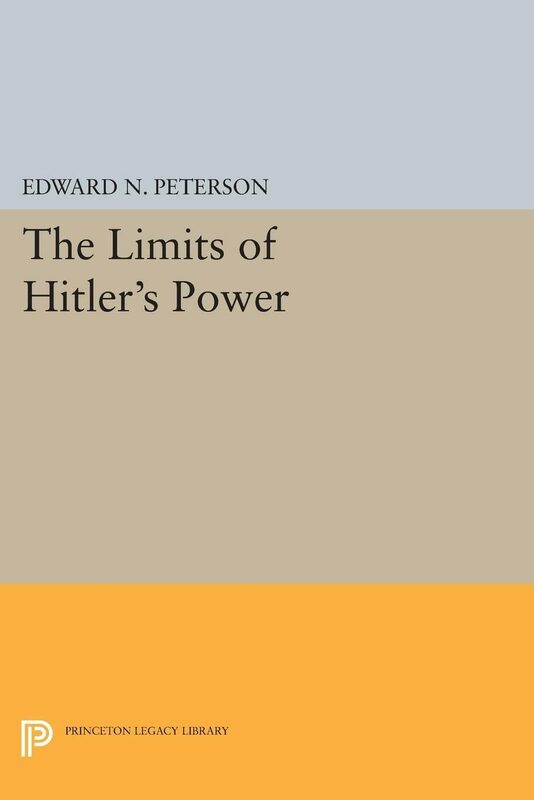 Professor Peterson examines these questions in relation to Hitler&#8217;s government with its reputedly unlimited internal power; he traces the flow of power throughout the Nazi state from 1933 to 1945, from Hitler to his ministers to provincial governments. Through a detailed analysis of the province of Bavaria the author shows that Hitler did not have the absolute power often assumed; that power in a totalitarian state is far more complex than many historians have conjectured; that Hitler dealt with a vast bureaucratic structure complicated by constant internecine fighting, and that only rarely did he command complete obedience.Originally published in 1969.The Princeton Legacy Library uses the latest print-on-demand technology to again make available previously out-of-print books from the distinguished backlist of Princeton University Press. These paperback editions preserve the original texts of these important books while presenting them in durable paperback editions. The goal of the Princeton Legacy Library is to vastly increase access to the rich scholarly heritage found in the thousands of books published by Princeton University Press since its founding in 1905.